I was never interested in swimming, biking, nor running… let alone triathlons. I was a soccer player and (more importantly) a basketball player. I had no idea how to swim freestyle, I simply rode my beach cruiser around my neighborhood for fun, and I absolutely loathed running. Who in their right mind would volunteer to swim, bike, and run ALL in the same race? In 2006, my dad was getting a little “plump”, so my mom forced him to take up running. He shocked all of us and ran the Chicago marathon in 2007 (yep, the infamous race with record heat waves where one man died and 300 needed medical attention). Despite the disastrous race, he fell in love with running; however, he realized it would be too much on his body to run 6 days a week. A friend of his suggested he try a triathlon, so he did, and that was the beginning of it all. He was hooked. Four years later, he finished Ironman Lake Placid (where I met YoungTri prez, Caity!!). A little bit after my dad started racing, my little brother started too… but I still thought they were absolutely insane. I couldn’t understand how anyone could enjoy such a grueling sport. Never in my wildest dreams did I think I would be racing right there with them just one year later. In the summer of 2009, my family and I flew out to Colorado Springs to watch my little brother compete in the USAT youth national championship. The race was so invigorating; each athlete was so intense, and it was evident how hard many of them trained. I was so excited and passionate as a spectator, even though I knew nothing about the sport. After watching the race, I was obsessed and immediately signed up for my first triathlon.Who knew it would be so easy to convince me to participate in a sport that I once thought was stupid?! 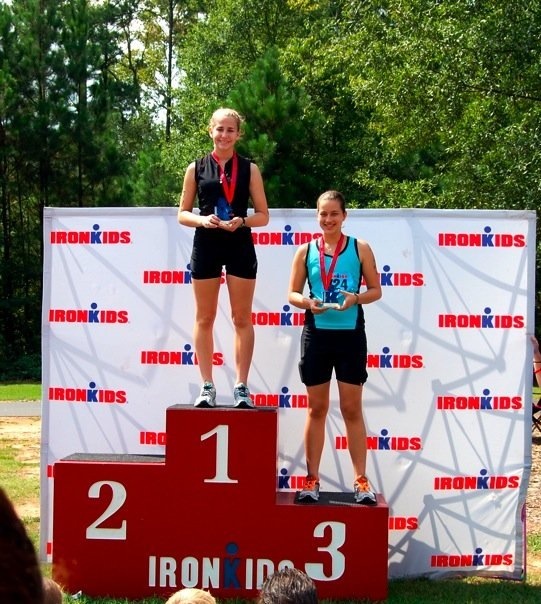 One month later I did IronKids in Alpharetta, GA. By some miracle I won my age group and qualified for the IronKids National Championship in Tucson, AZ. I had so much fun in both races and it was evident that I caught the “tri bug.” I have been racing ever since, although I recently have taken some time off due to a concussion (don’t ask…). My favorite part about triathlon is the passion its athletes possess. The sport is not like football or basketball where you can just be “a natural” and score all the points. Triathlons require dedication and a strong mind: training every day and pushing yourself to the limit even when your body screams it can’t go any further. These two components create a fire inside triathletes and make them so passionate about their sport. I could talk about triathlons for hours on end, which is ironic because I can’t talk about basketball the same way even though I’ve only been a triathlete for 5 years, while I was a basketball player for 10 years. I love triathlons so much that I am confident I will be racing for the rest of my life. 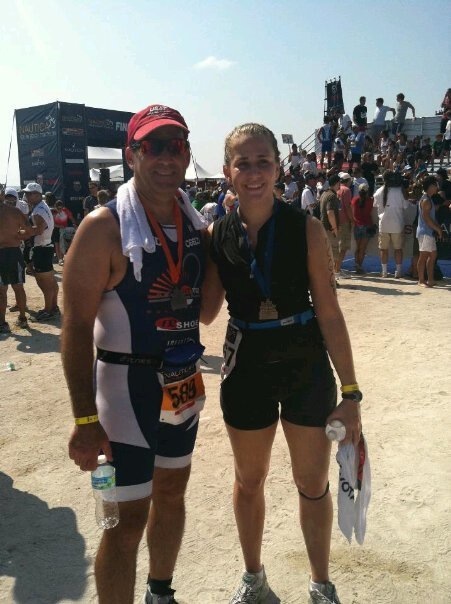 Another awesome aspect of triathlons is that even your parents can compete! I love training with my dad; we bond so much over training and racing together. This is one of the few sports where your career is not over once you hit 30. Instead, you can race for over 30 years and even race with your kids and spouse! Triathlons mean a lot to me and I can’t imagine my life without them. I get so excited when I explain the sport to my friends. As dumb as it sounds, the sport creates a passion in me and I’m sure others can see the little “tri” fire inside my eyes. I met my best friend through YoungTri and I don’t know what I’d do without talking to her every single day (love ya Caity <3). Triathletes have a special bond; we all suffer in training just for the sake of suffering! Triathlon is not just a sport- it truly is a lifestyle. How have triathlons impacted your life?